In case you don't have time to stop by the House of Industry in Copenhagen to see the exhibition of clean energy solutions, you can now see all the contributions online here. On the occasion of the Nordic Clean Energy Week, Danish Power Systems will exhibit a case on how our fuel cells contribute to the green transition. The exhibition will take place in the House of Industry in Copenhagen from the 11th of April to the 25th of May and will be open to the public. Danish Power Systems will participate in the Annual Conference and General Assembly 2018, which will take place at SerEnergy in Aalborg, Denmark, on the 18th of April 2018. The Annual Conference and General Assembly is hosted by Hydrogen Denmark and is open to the public. Danish Power Systems will participate in the International Hydrogen and Fuel Cell Conference 2018, which will take place in Trondheim, Norway from the 14th to the 15th May 2018. Managing director of Danish Power Systems Hans Aage Hjuler and Research Scientist Merit Bodner will attend the conference, whereas Hans Aage is among the invited speakers. Danish Power Systems has joined the initiative Mission Innovation (MI), which is an international initiative presented by the former U.S. president Barack Obama along with a range of other top global leaders at the COP21 in Paris November 2015. As part of the initiative, participating countries have committed to seek to double their governments’ clean energy research and development (R&D) investments over five years, while encouraging greater levels of private sector investment in transformative clean energy technologies. These additional resources will dramatically accelerate the availability of the advanced technologies that will define a future global energy mix that is clean, affordable and reliable. In addition to the participating countries’ investments, private investors like Bill Gates and Mark Zuckerberg have put money into the initiative. DPS expects that activities for the implementation of the MI will take place in the coming years. Danish Power Systems will participate in the European Hydrogen Energy Conference (EHEC) 2018, which will take place in Malaga, Spain from the 14th to the 16th March 2018. Merit Bodner from Danish Power Systems will give a lecture on electrodes for HT-PEM fuel cells. Danish Power Systems offers master projects together with DTU Energy. Danish Power Systems has, together with partners at the Technical University of Denmark and the University of Chemistry and Technology in Prague, Czech Republic, achieved the best operating stability for high temperature polymer fuel cells seen so far. To read the article published on State of Green click here. We are currently looking for Engineers/Scientists for development and production of improved materials for HTPEM fuel cells. To read the full job description click here. The international Energy Agency (IEA) has eight active Annexes (groups) that works on fuel cells where the members meet regularly to share technology and policy developments in their countries, companies and research institutions. As CEO of Danish Power Systems Hans Aage Hjuler is a member of Annex 31, DPS has, in collaboration with Di-Jia Liu from Argonne National Laboratory, U.S. made a booklet of the participants of Annex 31. The booklet aims to inform about Annex 31, which is a research and development-oriented Annex with the objective to contribute to the identification and development of techniques and materials to reduce the cost and improve the performance and durability of polymer electrolyte fuel cells (PEFCs), direct fuel polymer electrolyte fuel cells (DF-PEFCs), and corresponding fuel cell systems. The editing of this booklet has been sponsored by the Danish Energy Agency and the United States Department of Energy. You can find the booklet as a pdf here. Danish Power Systems has committed to contribute to a pollution free planet through the United Nations Environment Programme (https://www.unenvironment.org). The achievement of these objectives will be accomplished through production of fuel cells that facilitates in an increase in energy efficiency and lower pollution, using bio based fuels. To read Danish Power Systems, and other business's commitments, click here. Danish Power Systems employee Merit Bodner has received an Award of Excellence for her Ph.D. work on fuel cells. The prize was awarded on the 7th of december by the Austrian Federal Ministry of Science, Research and Economy at the Harrach Palace in Vienna. To read the article published on teknovation.dk (in Danish) click here. The Innovation Fund Denmark has granted 23 mio. Kr. to EEEHy project which allows researches from DTU Energy and Aarhus BSS, together with a number of private partners, including Danish Power Systems, to develop a more efficient electrolysis technology. Compared to the traditional commercially available alkaline electrolysers, it is possible to minimize the energy losses, utilising 99 percent of the energy, and increase the production of hydrogen four-fold. To read the article published on EnergySupply.dk (in Danish) click here. Danish Energy Industries Federation (DI Energy) has announced DPS to be their member of the month in August 2017. DI Energy works to strengthen their members' businesses abroad as well as at home while securing Denmark as the world's most competent energy industry. The interview with DI Energy can be accessed here. The interview is only available in Danish. You can find the new catalogue here or under Downloads. Danish Power Systems participated in the 6th European PEFC & Electrolyser Forum Conference in Lucerne, Switzerland the 4 – 7 July 2017. Additionally, DPS exhibited at the convention to maintain partnerships, establish business contacts as well as promote the trademark MEA, Dapozol®. Also, DPS presented two lectures by Hans Aage Hjuler and Thomas Steenberg with results from durability tests and tests of the manufacturing of fuel cells. Hans Aage Hjuler and Thomas Steenberg was chair while Thomas Steenberg also took part of the Scientific Advisory Committee (SAC). Denmark is going to identify important research areas to create the highest benefit for the Danish society. The Danish government has thus asked The Danish Ministry of Higher Education and Science to make a strategy for strategic research ‘FORSK2025’. The acting body is the Danish Agency for Science, Technology and Innovation. As a partner member of ATV (The Danish Academy of Technical Sciences) and DI (Confederation of Danish Industry), Danish Power Systems (DPS) has been asked to take part in this process. DPS will deliver input through our organizations, and we will obviously focus on more research, development and demonstration on new energy technologies, the core of DPS’ business, but also areas where Denmark plays a leading role in the world. Danish Power Systems (DPS) has now a sales agent in China. DPS has just entered an agreement with Kunshan Sunlaite New Energy Technology Co., LTD (short name is Sunlaite) close to Shanghai. Sunlaite is devoted to the research and development and sales of fuel cell products. It provides fuel cell related materials, membrane electrode assemblies (MEAs) based on LTPEM, fuel cell stacks, also offers fuel cell power system optimized for stationary and backup power application. A series of equipment related to fuel cell has been developed, due to years of fuel cell research experience. Sunlaite has a professional R&D team with nearly 300 square meters of super clean dust-free production facilities for catalysts and MEA manufacturing, processing workshops for fuel cell stacks, power supply system and other products, equipment machining and assembly workshop and equipment quality inspection center. See the complete web site on http://slt2.68659061.com/en/about.php The role of Sunlaite will be to introduce and sell DPS’ HTPEM fuel cell products in China. Danish Power Systems (DPS) will participate in the World Hydrogen Energy Conference 2016 (WHEC), http://www.whec2016.com/ in Zaragoza, Spain from 13-16. June 2016. Danish Power Systems (DPS) will participate in the Advanced Automotive Battery Conference in Detroit 14-17. June 2016. Danish Power Systems was participating in the conference “Hydrogen Days 2016” in Prague (April 6th-8th), which also included a specialist workshop on High Temperature PEM fuel cells. Presentation by Hector Rodrigo Garcia on HTPEM FC development: HTPEM Membrane Electrode Assembly for CHP applications. Danish Power Systems have been participating in a project addressing a flexible platform for production of HTPEM fuel cells. Danish Power Systems (DPS) will participate in the conference ”Hydrogen Days 2016”, which will take place in Prague April 6th – 8th 2016. There is a dedicated expert workshop on High Temperature PEM (HTPEM) fuel cells in relation to the conference, where DPS (among others) will present the latest findings within fuel cells and components. See www.hydrogendays.cz/2016/ for further information. DPS will participate in the The conference of the Electromobility+ initiative which will take place at the premises of the Federal Ministry of Transport and Digital Infrastructure on 20 May 2015 in Berlin, Germany. The German Ministry of Economic Affairs and Energy and the Ministry of Transport and Digital Infrastructure have the privilege to chair the Electromobility+ Governance Board in 2015 and to host this event. The programme will include both presentations of the results of the 18 research projects funded by the Electromobility+ initiative and discussions about future developments in the field of electric mobility and how a second phase of Electromobility+ beyond 2015 can contribute to this. The FCCP-APU project where DPS is part will be presented. DPS will exhibit at the ICCI in Istanbul, Turkey from 6-8. May. TS and HRG from DPS will be present at the exhibition. DPS is now a member of the World Energy Council http://www.worldenergy.org/about-wec/ The World Energy Council (WEC) is the principal impartial network of leaders and practitioners promoting an affordable, stable and environmentally sensitive energy system for the greatest benefit of all. DPS is now member of The New Energy World Industry Grouping (NEW-IG) that works to accelerate the market deployment of Fuel Cells and Hydrogen (FCH) technologies. The mission is to create a more sustainable economy while positioning Europe at the forefront of global technological developments. DPS is now moving its staff and headquarters to Egeskovvej in Kvistgaard, Denmark. This means that now both testing and production will be located in Kvistgaard to the benefit of our staff and our customers. DPS’ production facility has already for more than a year been located here. The production is running on full scale. DPS is now member of EMIRI, the Energy Materials Industrial Research Initiative, Brussels, Belgium. EMIRI, set up in 2012, is driving forward research and innovation in the advanced materials needed for low-carbon energy applications. Innovative energy technologies are required to cost-effectively meet Europe's sustainable energy and climate change challenges. These technologies will be enabled by the introduction of new, advanced materials. Both Korea and Denmark have strong communities for research, development and early commercialization of PEM fuel cells, and both countries are worldwide recognized for their pronounced efforts to promote new energy technologies of which fuel cells constitute an important field with high expectations. This has led to fruitful and growing cooperation between the Korean and the Danish fuel cell communities and now the joint Danish Korean PEM Fuel Cell Workshop in Seoul, November 18-19, 2013, organized by DTU Energy Conversion, Danish Power System and Korean Institute of Science and Technology. The scope of this bilateral PEM fuel cell workshop is to bring together scientists and business developers from the two countries in a two day event in Seoul - to get updated, to make new contacts or to strengthen and widen the networks already established. Common challenges are best met in common and the markets of today are global, and the climate challenge has made the need for accelerated development of improved energy technologies even stronger. Besides, commercial niche applications for which PEM fuel cells show a competing edge are emerging, and the workshop is also a fine opportunity for the companies in the market to meet the scientists. DPS is together with DTU Energy Conversion, KIST and Sanqmyung University organizing a workshop on fuel cells. The purpose is to expand the collaboration between the companies, institutions and universities in the two countries. In both Korea and Denmark there are strong communities for research, development and early commercialization of PEM fuel cells. Both countries are recognized for their pronounced efforts to promote new energy technologies of which fuel cells constitute an important field with high expectations. The climate challenge has made the need for accelerated development of improved energy technologies even stronger. Besides, niche applications for which PEM fuel cells show a competing edge also from a commercial perspective are already emerging. Some initial contacts between members of the Korean and the Danish fuel cell communities are seen in line with the overall interest for collaboration between the two countries in the fields of green technology, exemplified by the Green Growth Alliance and last spring by the Danish business delegation headed by the Danish Crown Prince Couple. The scope of this bilateral PEM fuel cell workshop is to bring together scientists and business developers from the two countries in a two day event in Seoul - to get updated, to make new contacts or to strengthen and widen the networks already established. Common challenges are best met in common and the markets of today are global. The workshop is financed by a grant from International Network Program of Danish Agency for Science Technology and Innovation. The workshop is also supported by the Embassy of Denmark in Seoul. BASF HT-PEM Fuel Cell Exit Positive for Danish Power Systems. The exit of BASF from HT-PEM fuel cells has created a lot of news. Read the latest news from Fuel Cell Today here. Member of the board of the Scientific Commitee of Fuel Cell and Hydrogen Joint Undertaking. Danish Power Systems has been inspected by the Danish Working Environment Authority. They found that the working environment was fine, and that Danish Power Systems was awarded a “green smiley”. Danish Power Systems values a safe and sound working environment, and we are happy that this now is recognized by the Danish Authority. Danish Power Systems (DPS) has for many years had a division for consultancy. DPS is now revitalizing this division as DPS Consult which offer solutions at a very high level within a wide range of technical and chemical disciplines. We assist our customers in developing product and process innovations by: Know-how, Literature, Fact finding, Training, Pilot projects, Test and measurements and Development of materials and products. Within chemistry and materials development we offer extensive industrial expertise including the following: Metal production and refining, Recycling of metals, Development of special alloys, Surface treatments and modifications, High temperature chemistry, Synthesis of inorganic and organic chemical materials, Thermal resistant polymers, Manufacturing of ceramic powders and materials, Applications of molten salts, Materials for human implants, Product development and manufacturing of prototypes and Tape-casting and zone-refining technology. Danish Power Systems is exhibiting in the Danish booth at the ICCI in Istanbul. Turkey is expected to be the fastest growing economy among OECD members during 2011-2017, with an annual average growth rate of 5.4% and a doubling of the investments in research and innovation over the last 10 years. 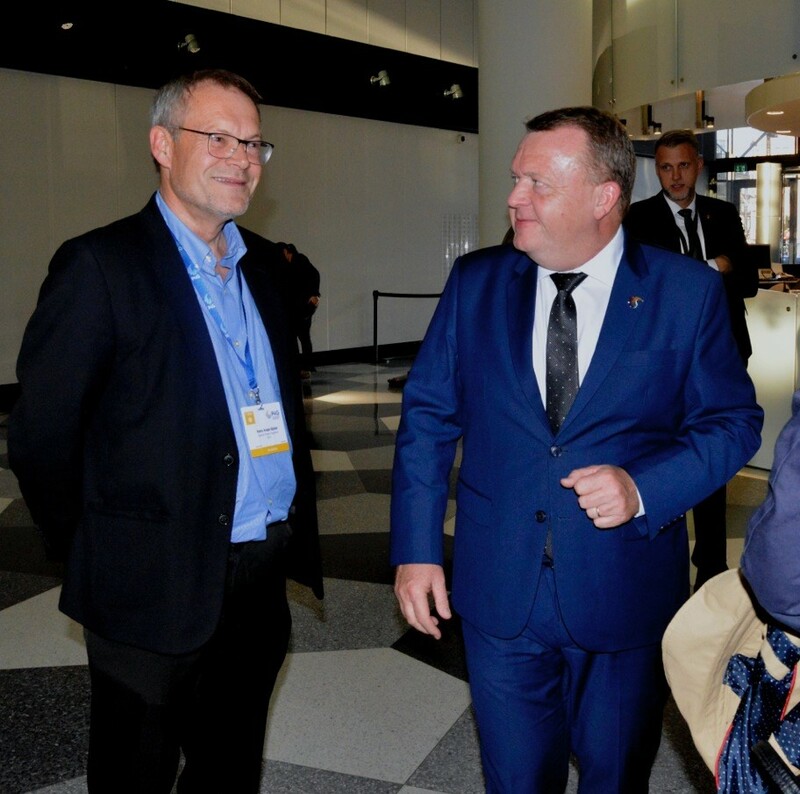 The country offers a huge potential for cooperation in trade, research and innovation and a big potential for Danish exports especially in the green-tech field. In this framework, the Trade Council in Turkey and the Danish Ministry of Science Technology and Innovation is cooperating to create a Danish information booth at the 19th International Energy and Environment Fair and Conference of Turkey with approx. 14.000 visitors and 300 participant companies. At the Orchestrated NanoKnowledge-days (Energy, Surfaces and Nanomedicine) 22 - 23th January 2013 at Danish Technological Institute in Taastrup CEO Hans Aage Hjuler, Danish Power Systems is giving a speech “The development of high temperature polymer electrolyte fuel cells”. The Conference brings together action-oriented people from industrial, public and academic domains to job-creation actions with the intention of bringing NanoKnowledge to Business. State of Green is the official green brand for Denmark. The brand and its supporting activities will strengthen international awareness of the solutions and competences of Danish business and industry within energy, climate and environment. SK Holding and Topsoe Fuell Cell has now upheld last year's agreement with the aim of achieving commercialization of fuel cells by 2020. HRH Crown Prince Frederik, Karsten Dybvad and Haldor Topsoe signed medio May 2 provisionally contracts in Seoul, during the Crown Prince Couple's official visit to South Korea. SK Holdings is a leader in the energy industry and Topsoe Fuel Cell has developed a unique technology. The companies complement each other successfully, and have together a great potential for progress of innovative products for future energy systems. The general assembly for the Danish Partnership for Hydrogen and Fuel Cells was held in April. Hans Aage Hjuler, CEO of Danish Power Systems, was reelected to the Board and was further elected as vice-chairman of the Partnership. DPS participated in the Launch of the Green Partnership for Growth (GPG) between US and Denmark. The ceremony was conducted yesterday by Danish Prime Minister Helle Thorning-Schmidt and US Secretary of State Hillary Rodham Clinton. The bilateral initiative is a continuation of previous arrangements in 2012 and 2011. DPS participated in the formation of the new organization: the Danish Association for Intelligent Energy (tentative title) in Copenhagen March 13. The new organization is an initiative of Danish Energy Association with the purpose of supporting the industrial foundation for a Smart Grid based society in the future. Read the press release here. DPS is now member of ATV - The Danish Academy of Technical Sciences. See more information about ATV at www.atv.dk. DPS will attend the Hannover Messe- Hydrogen and Fuel Cells the 23rd to 27th of April. For further information please refer to Kim Albertsen, Business Development Manager. DPS is participating in this interesting event in Seoul. This is an official Danish business delegation to Korea headed Their Royal Highnesses the Crown Prince Couple of Denmark. Jern og Maskinindustrien has written an interesting article about DPS. To read the full article click here. Idag has written a very interesting article about DPS. To read the full article click here. Teknovation has written an interesting article about DPS. To read the full article click here. DPS has been reviewed by the New Energy World Network NEWNET - a subscription based news service for investors. Visit their homepage here, and to read the review click here. Electronic Supply has written an interesting article about DPS' participation in the Nordic Cleantech Open - Top 25. To read the full article in Danish click here. Danish Power Systems has been invited to participate in the Nordic Cleantech Open as only one of two Danish companies. The Nordic Cleantech Open is a business competition aiming to identify, upgrade and display the top 25 early stage clean tech companies in the Nordic region each year. For more information about the competition and the companies click here. The 3rd CARISMA International Conference on Medium and High Temperature Proton Exchange Membrane Fuel Cells will be held in Copenhagen the 3 – 5 September 2012. Danish Power Systems is part of the organizing committee. For more information, click here. The final results from the EU project FURIM that ended in 2008 has now been made public on EU's CORDIS homepage. To see the information click here. DPS has employeed Thorsten Holst, PhD in physics, as senior scientist. Thorsten will focus on the testing and materials characterization of fuel cells. Electronic Supply has written a vary interesting article about the effort to start serial production of the fuel cell MEA's. This project is done in collaboration with SP Group, DTU and Serenergy and funded by The Advanced Technology Foundation. To road the full article in Danish click here. In collaboration with SP Group, DTU and Serenergy, DPS is aiming to build a setup for serial production of the critical fuel cell component - the Membrane Electrode Assembly (MEA). Today Ingeniøren has written a very interesting article about this project funded by The Advanced Technology Foundation (Højteknologifonden). In a joint project with SP Group, Serenergy and DTU - DPS has been granted funding from The Advanced Technology Foundation (Højteknologifonden). The project aim is to establish serial production of the critical fuel cell component - Membrane Electrode Assembly (MEA) - on an industriual scale. Production in a larger scale will give improved MEA quality and expected cost reductions of 90%. This effort will enhance the commercialization of the technology that is anticipated in a larger scale in 2015. This funding from The Advanced Technology Foundation may be an important step towards the creation of a promision new cleantech industry in Denmark. To read the full press release in Danish click here. Ernst & Young invited DPS to participate in the this years Danish entrepreneur of the year competition - in the cleantech category. The aim with the ORACLE project is to demonstrate and verify the advanteges of fuel cells in relation to outdoor utility vehicles used for cleaning and maintenance. The aim is to achieve higher energy efficiency and environmental benefits relative to conventional diesel driven solutions. The participant also include Serenergy, Aalborg University and Nilfisk Egholm. The official material from EUDP can be found here. DPS is aiming to achieve up to 90% reductions in the production cost of fuel cell MEA's. This will prepare DPS for the commercialisation of the technolog in larger scale that is expected in 2015. FIB - Biopress have written a very interesting article about this, DPS' and our collaboration partners DTU and SP Group. To read the article in Danish click here. Peter Wagner and Anja Diedrichs from Next Energy in Oldenburg, Germany will visit DPS Wed. 8. December and give a lecture with the title ‘NEXT ENERGY and present investigations on HT-PEM Membrane-Electrode-Assemblies’. The presentation will take place at the Technical University of Denmark, Bldg. 207, room 056 at 14.00. Everybody is welcome. DPS is exhibiting at the Fuel Cell and Hydrogen – Joint Undertaking (FCH-JU) on November 22nd through 23rd in Bruxelles. The FCH-JU is EU’s joint technology initiative for hydrogen and fuel cells under the 7th Frame Work Programme. The exhibition will be held in connection with the General Assembly of the FCH-JU and takes place in the Charlemagne Building in Bruxelles. DPS was exhibiting and giving a lecture at the EGG’11 - Entrepreneurship Goes Green - at DTU on Nov. 19th. A large audience of entrepreneurial students from DTU, CBS, KU and ITU was attending the event. DPS is looking to attract the most skilled science and engineering students interested in working with fuel cells and green energy. The response from the audience was overwhelming. For further information about EGG'11 click here. Danish Power Systems (DPS) is making a joint effort with Risø DTU and SP Group to develop production technology for fuel cells. That DPS has come this far is related to the valuable funding that has been recieved from Energinet.dk and The Danish Energy Agency (Energistyrelsen) through their EUDP program. Risø DTU is also funded from the EUDP program for the development of solar celles based on polymers. The collaboration between these two different EUDP projects - fuel cells and solar cells - means additional and unforeseen value of the EUDP funding spent within these two areas. Risø DTU will achieve additional utilization of the equipment and DPS will gain quick access to improved production technology. However, the most interesting aspect is, that DPS will take another step towards lower cost and improved production quality. This helps to mature the technology and facilitates commercialisation, which is expected happen in larger scale already from 2015. The HTPEM fuel cells DPS is producing will help to reduce dependency of fossil fuels for economic, national and strategic benefit, facilitate increased national industrial competitiveness and deliver clear environmental benefits. Visit from Dr. Andrew Potter, ACAL Energy Ltd.
Dr. Andrew Potter from ACAL Energy Ltd. (UK) will visit Danish Power Systems on the 3rd of October 2011. ACAL Energy has developed a fuel cell power module for a range of applications including: Stationary, residential and automotive applications. All requiring more than 1 kW of power. Hans Aage Hjuler, managing director of Danish Power Systems, is invited speaker and co-chair of the conference Annual Low Carbon Earth Summit (LCES-2011) with the theme “ Leading the Green Economy, Returning to Harmony with Nature.” It will be held in Dalian, China at the World Exposition Center. The conference takes place the 19th to the 26th of October 2011. CTO, Thomas Steenberg is going to speak at the conference "Hydrogen and Fuel Cells in the Nordic Countries" in Malmö. The conference takes place the 25th to the 26th of October 2011. CTO, Thomas Steenberg is invited to speak at the "Hydrogen and Fuel Cells Conference 2011" in Mexico. The conference takes place the 1st to the 5th of December 2011. For more information and signing up, click here. Danish Power Systems is one of the leading manufacturers of HTPEM fuel cells and moving towards a real mass production. You can read more about this in the press release (Danish). DPS' CEO, Hans Aage Hjuler, is going to speak at the Copenhagen conference "Fuel cells - the value chain from research to market". The conference will be held in Tivoli, Denmark, 7th of June 2011. Annual report from The Department of Chemistry at the Technical University of Denmark has been published. A chapter informs about the development of polymer based high temperature fuel cells, see the Annual report here. Danish Power Systems' role in the development and collaboration between the university, DPS, IRD and Serenergy is described. Conference + exhibiton "Hydrogen + Fuel Cells 2011"
Thomas Steenberg and Carina Terkelsen from DPS participates in the international conference + exhibition "Hydrogen + Fuel Cells 2011". The conference takes place 15-18th of May 2011 in Vancouver, Canada. Hans Aage Hjuler and Thomas Steenberg from DPS participated in the visit of the Korean president Lee Myung-bak on Thursday the 12th of May 2011. The president signed the Green Growth Alliance, an agreement between Denmark and Korea. See the Korean Press Release here. DPS is now able to make very long membranes for PBI-based HTPEM fuel cells. Det er med stor fornøjelse, at Partnerskabet for brint og brændselsceller i samarbejde med Det Strategiske Forskningsråd, hermed kan invitere til konferencen ’Brændselsceller – Værdikæden fra forskning til marked’. I Danmark er der inden for energiområdet flere forskellige offentlige støtteprogrammer til fordel for energiteknologisk udvikling. Disse har hver for sig de seneste år fået mere og mere såvel specifikke som særskilte fokusområder inden for værdikæden fra forskning til marked. En sådan udvikling fordrer samtidigt i stigende grad koordinering og samordning af ordningerne for at sikre sammenhæng i værdikæden. Konferencen sætter på baggrund af den teknologiske udvikling inden for brint og brændselsceller fokus på udfordringen hermed. Dette sker ved først at præsentere status samt fremtidsperspektiver for de enkelte teknologier. Herefter behandles branchens nationale strategier og deres udformning samt betydning. Eftermiddagen byder på en diskussion om fremtiden for brint og brændselsceller samt hvordan markedet nås. Konferencen finder sted tirsdag den 7. juni 2011 kl. 9 – 17 i Tivoli Hotel and Congress Center. Blandt dagens talere er først Videnskabsminister Charlotte Sahl-Madsen. Efter ministeren følger en spændende række af indlæg fra både industrien, forskningsverdenen samt myndigheder. Tilmelding til konferencen foregår her. Der vil være et deltagergebyr på 750 kr. og der er 100 pladser til konferencen, som fordeles efter først til mølle. Silja Kofoed has been hired as assistant. DPS is now a member of Energie Agentur Netzwerk Brennstoffzelle und Wasserstoff, NRW, in Germany. DPS is now a member of Copenhagen Cleantech Cluster. DPS is now a member of Energymap. Ph.D. Hans Aage Hjuler replaces Karen Kümmel as CEO. Karen Kümmel will continue as Chairman of the board. Ph.D. Thomas Steenberg as been appointed as CTO. 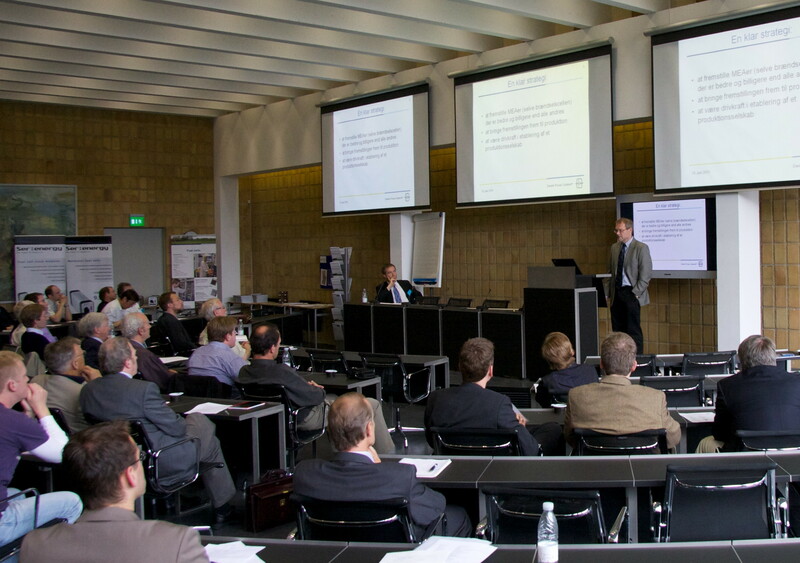 The Danish HTPEM seminar held June-2010 was a big success. The seminar was organised by HotMEA/EnerginetDK, the Danish Partnership for Hydrogen and Fuel cells and Danish Power Systems. The topics and participants covered both technical (from fundamental research to complete HTPEM systems) and financial aspects (funding, commercialisation and venture capital). Danish Power Systems has received funding from the Danish Ministry of Energy (EUDP) to further development of fuel cells in the COBRA project (COmmercial BReakthrough of Advanced fuel cells). The project is a collaboration between DPS, Serenergy, Aalborg University and the Technical University of Denmark. A new innovation consortium on HTPEM has been established (May-2010). The activities are related to development of new materials, catalysts and fuels related to HTPEM. The partners in the consortium are SP-Group, Danish Tecknological Inst., Dept. of chemistry (DTU), Serenergy, Ammon Gas and Danish Power Systems (DPS). CEO Hans Aage Hjuler from DPS is chairman of the consortium. The consortium is funded by The Danish Research Council . DPS is now member of the Fuel Cell Development Information Center in Japan. More information about the society can be found on FCDIC.